Are you searching for info about the Lenscoat cover for the Canon 70-200 lens? I was researching accessories for my Canon 70-200mm f 2.8 and came across accessories for protecting my 70-200mm lens. The Lenscoat cover sounded intriguing. 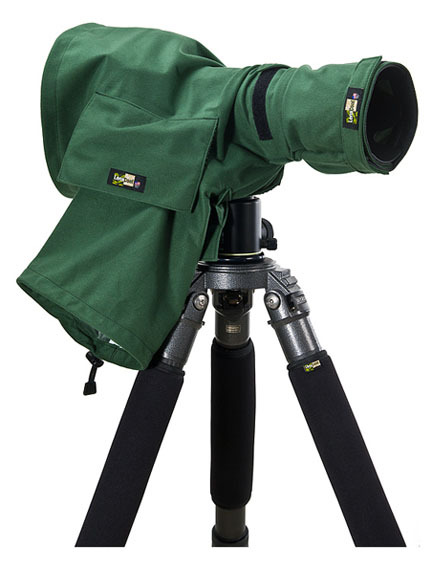 The Lenscoat company makes a very large variety of high quality accessories for the adventure photographer who is looking for high quality protection for their camera equipment. 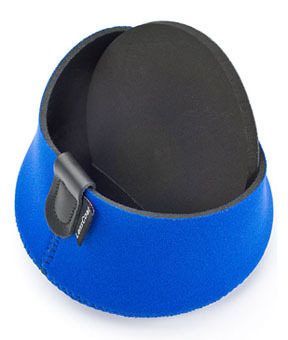 The covers are made out of a closed-cell neoprene, designed to protect your lenses from bumps and scrapes. 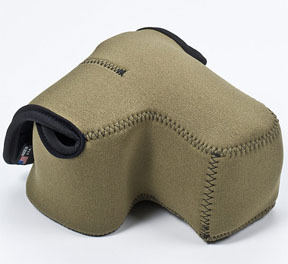 They are waterproof and are also great for cold weather shooting and provide a thermal barrier for your hands. The Canon 70-200 Lenscoat comes in 6 different colors. The camo is pictured here on the right. Also available is the standard "white" to match the original color of the 70-200, Black, Forest Green, and two versions of RealTree. I am amazed that there is enough of a demand for such a narrow niche in photography equipment to provide so many variations but the world of photography is a big place I guess. Other Canon accessories include neoprene lens pouches, camera bodybags, and raincoats. Until reviewing these, I had forgotten about the lens sock I purchased in the 1980s for my Quantaray 85-210mm zoom lens. It was cumbersome to get on and off my lens because the elastic band around the neck was way too tight and took too much effort to use. The LensCoat system does not have that issue at all. The way they are designed is much smarter. f you have a specialized need for a custom designed Lenscoat, you can contact them and they will make one for you. As a interesting diversion, I added this amusing video fo the making of a Lensocat for the behemouth Canon 1200mm f 5.6 lens. I got a little chuckle out of watching the lengthy UN-packing of this lens. 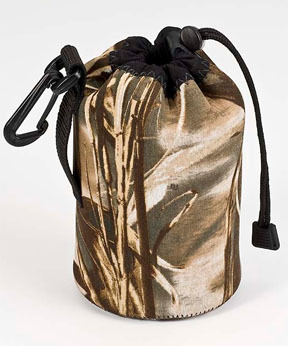 The Lenscoat products are a specialized line of camera lens accessory but are still available in a variety of places. You can use one of the trusted vendor links below to find out more. Using one of these links helps me keep this site going and is appreciated.